Happy Friday! Here’s a great read to kick off the friday joy from Glennon at Momastery. Glennon’s writing is funny. I can’t decide if it is a bit cheesy or a bit cool or both. Her message about showing up and being imperfect and not hiding away really resonates with me. Hiding away is a problem of mine as an introvert. I just want to stay at home and browse the internet. I know that it is really unhealthy (mentally) to avoid people, and catching up with my friends is actually one of my favourite things to do (once I can get myself out the door that is). It is good to be reminded of that occassionally. Another of Glennon’s messages that I find really supportive is that the only way to connect with other people is to be yourself and to be imperfect. As long as you pretend to be perfect then you are always going to have that fear of being found out and that loneliness of noone knowing the real you. Anyways. 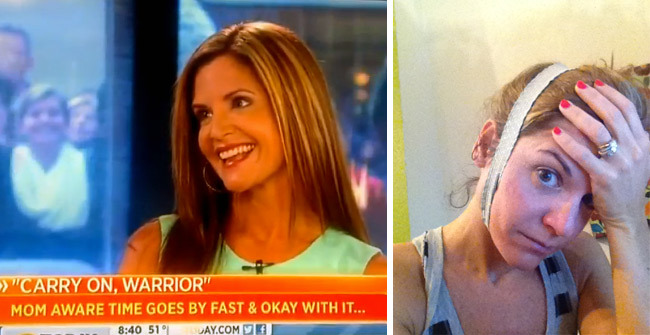 Her blog post about her visit to the Today Show is really funny. I almost couldn’t watch the Today Show segment itself as I was cringing so bad, but in the end I am glad I did. You can feel her nervousness oozing out her, but also it is kind of funny how perfect she looks. Here’s a previous link to her TED talk – No Capes!